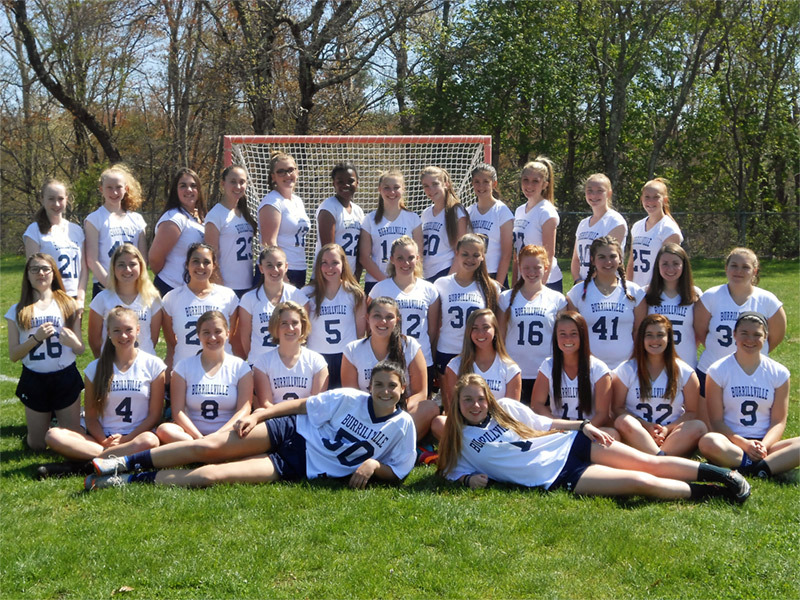 Congratulations to this week’s Showcase Cinemas High School Team of the Week: Burrillville Girls Lacrosse! Our team joined other lacrosse teams across the country to take part in the Yards for Yeardley Challenge. Over the course of the season we ran 1,000,000 yards for the One Love Foundation, an organization whose mission is to raise awareness about the consequences of relationship violence. One Love was founded in 2010 to honor Yeardley Love, a UVA student athlete who was beaten to death by her ex-boyfriend just weeks before graduation. Yeardley’s family and friends were shocked to learn the statistics about relationship violence and how much Yeardley was at risk. The foundation honors Yeardley by working with young people in high schools and colleges across the country to educate them about the warning signs of abuse and activate communities to work to change the statistics around relationship violence and abuse. In addition to completing the 1,000,000 yard challenge, our team has donated money to the One Love Foundation to show our support for One Love’s work to end relationship violence and abuse and raise awareness about this important issue.